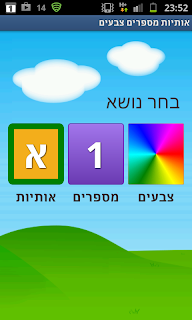 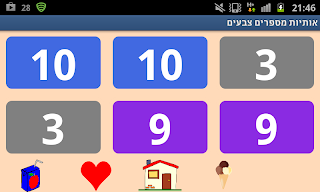 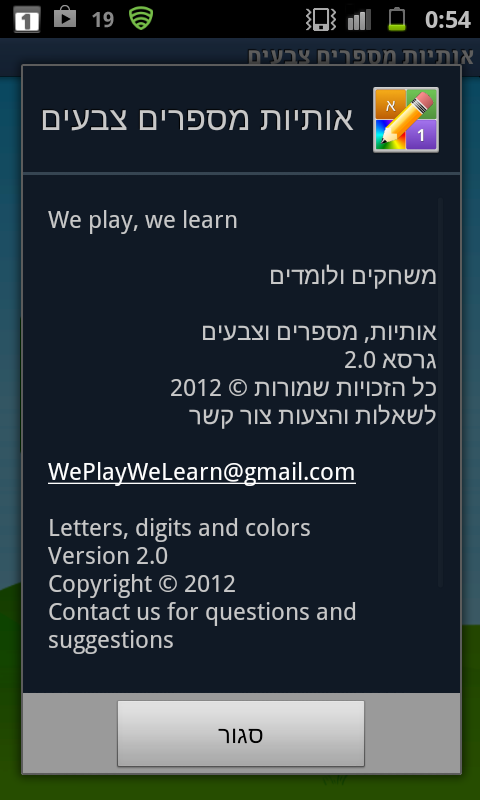 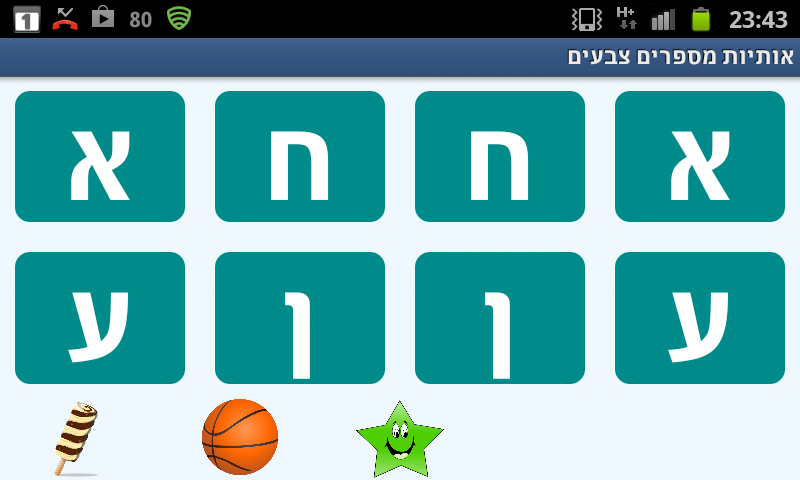 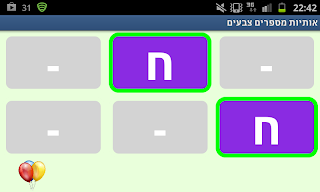 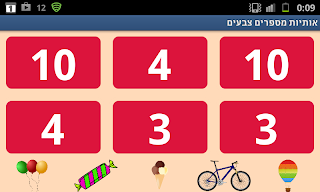 Children game to learn Hebrew letters , learn Hebrew numbers and learn Hebrew colors. 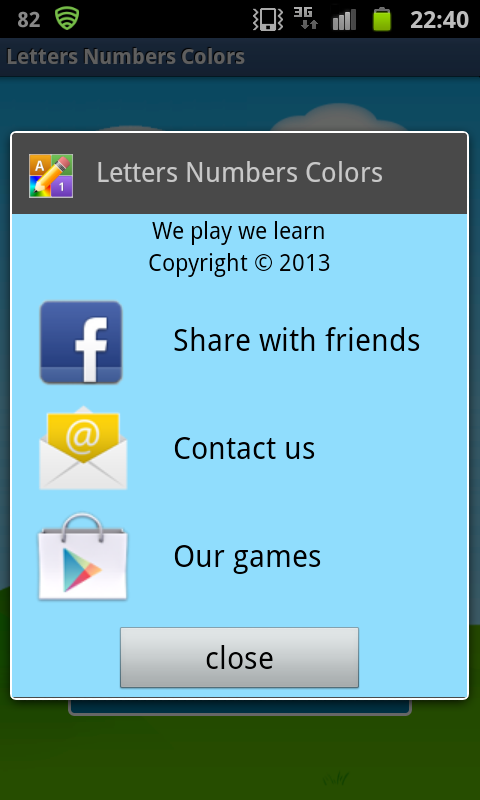 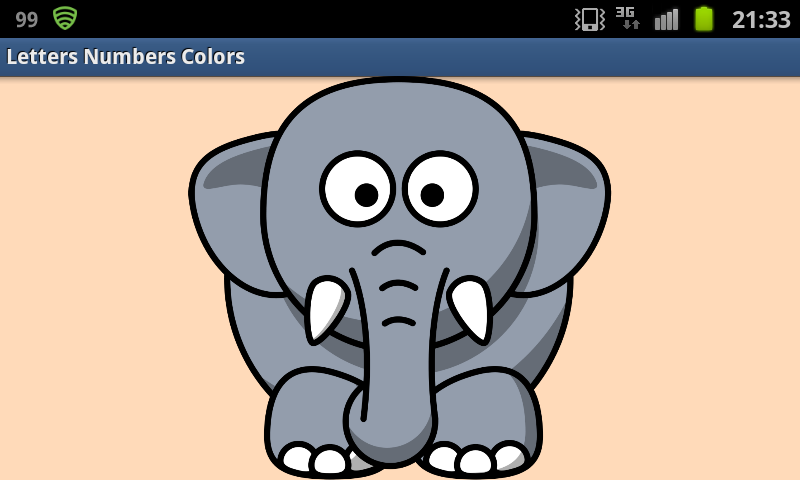 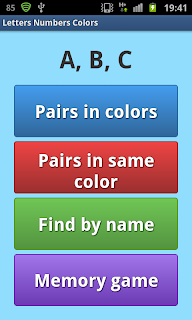 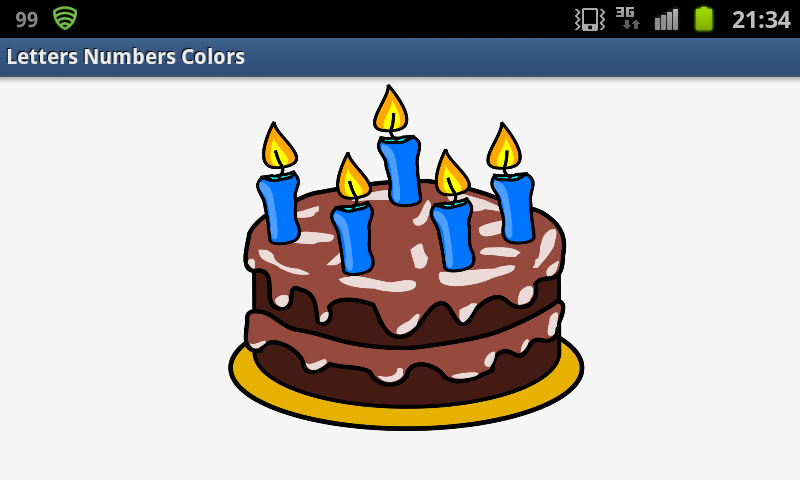 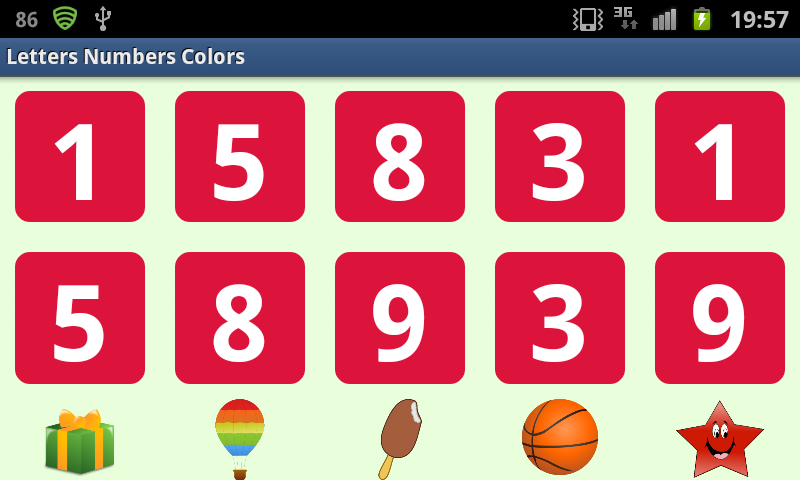 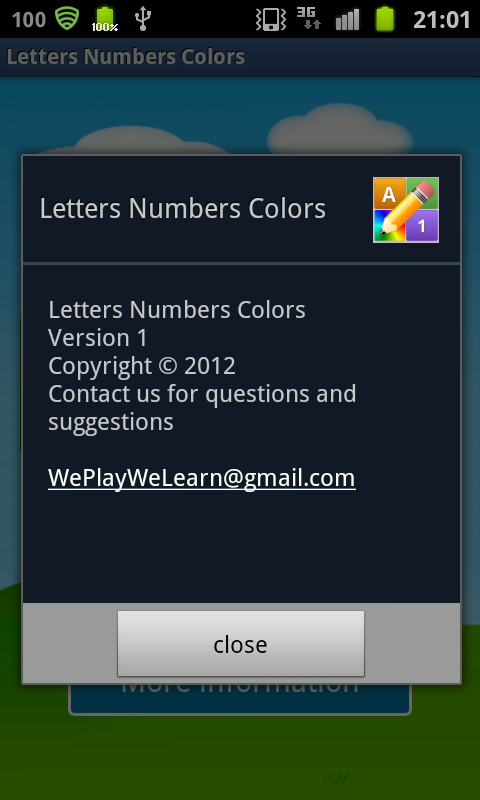 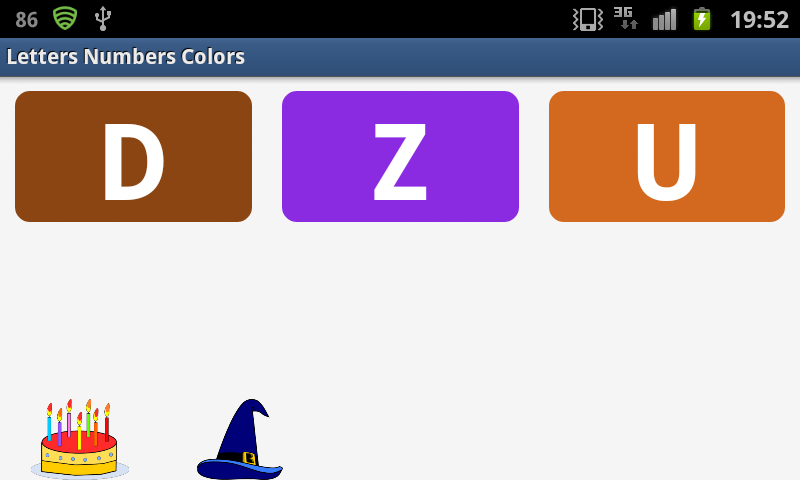 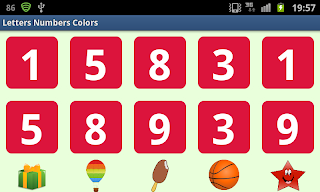 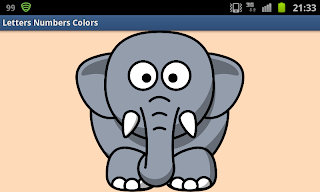 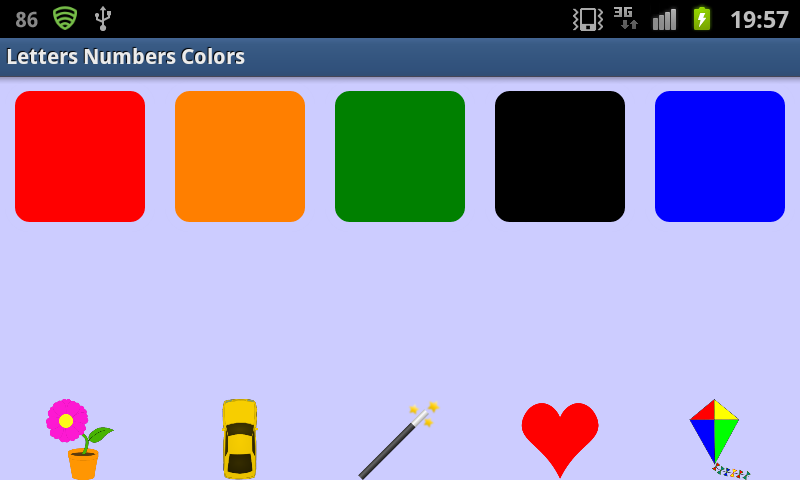 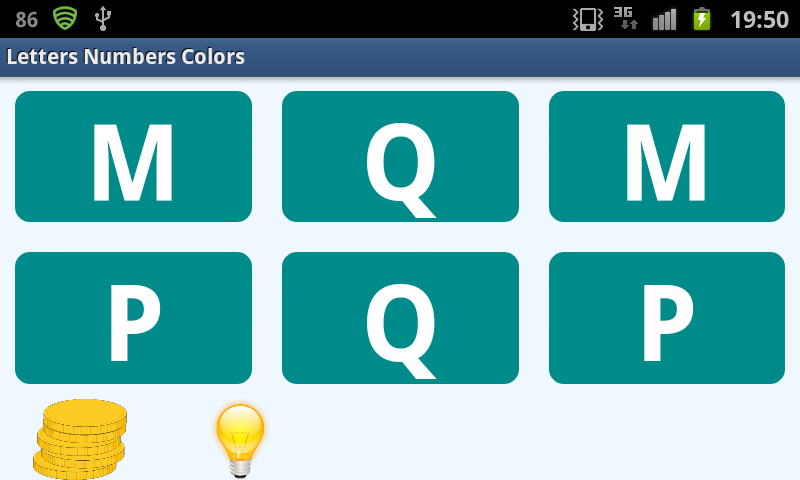 This children game helps in recognizing English letters, numbers and colors. 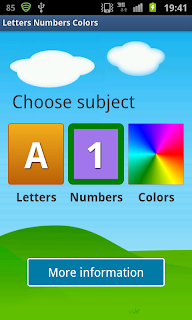 Select cards with matching symbol and color. 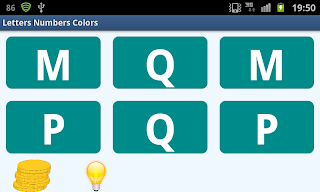 The different colors help in pairing the letters. 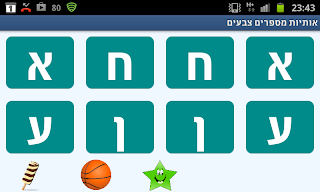 Higher difficulty level. 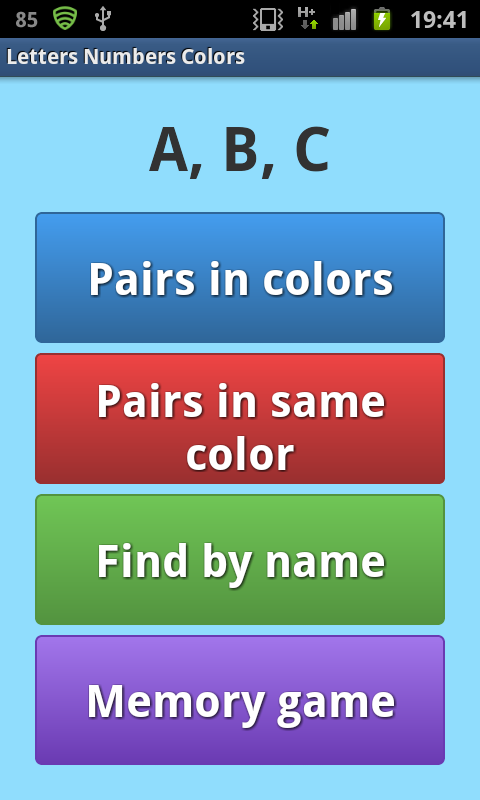 All cards are in the same color. 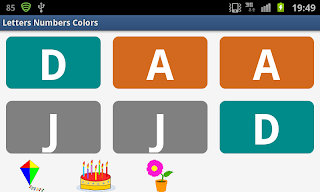 The child matches only by letter identification. 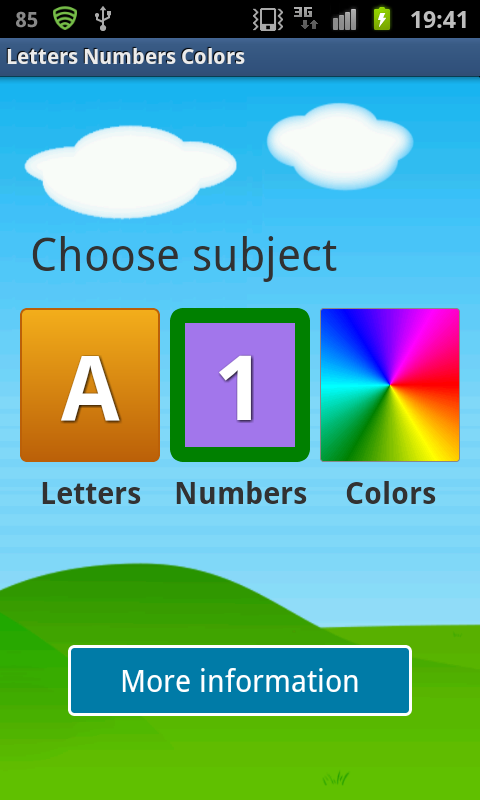 The child clicks on the letter from the given options. 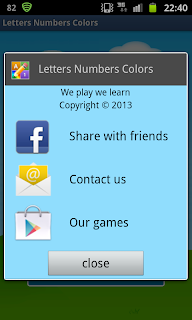 Click on the symbol of given symbol name. Fun memory game with letters. 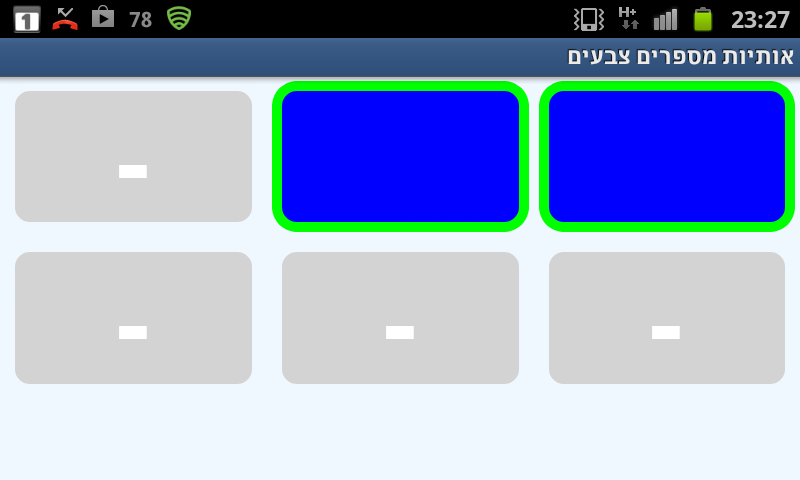 After completing a screen, an animation appears. 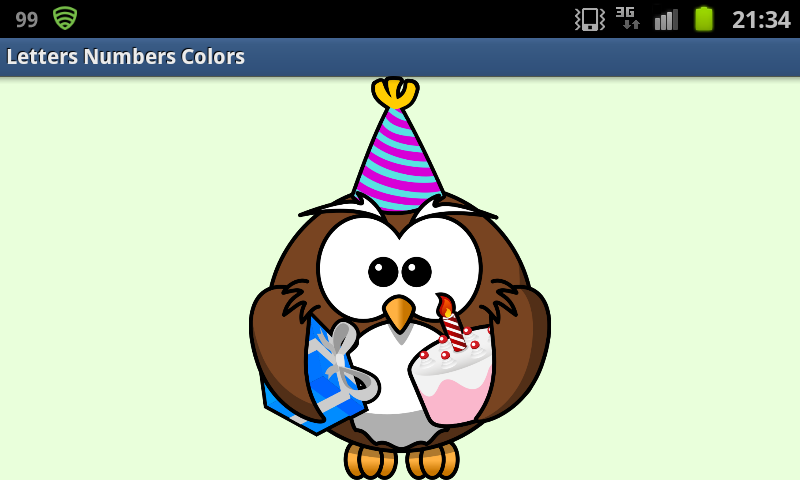 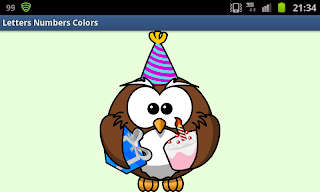 When we proceed to the next screen we receive a gift.